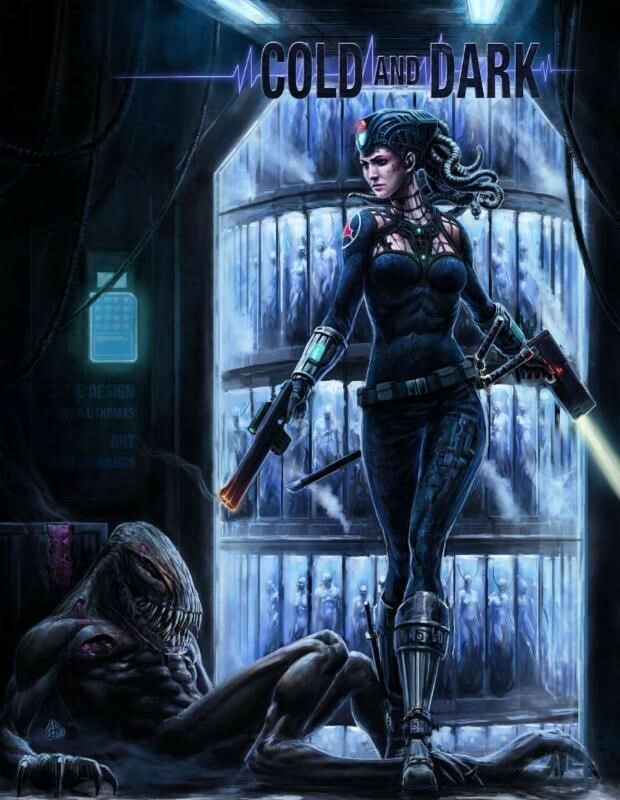 Modiphius has started taking pre-orders for their new sci-fi RPG, Cold and Dark. This isn't your bright and shiny sci-fi, but more your dark and scary sci-fi, with murderous aliens around every corner. Also, this isn't your standard pre-order, but more crowdfunding-like. The more pre-orders Modiphius gets for the book, the more extras will be unlocked before the game is released this summer. The Cold & Dark core book print pre-order and PDF core book are available now on Modiphius.net with the print version having an initial target of 100 orders. All backers will receiving bonus content like the Infestation File, which includes rules, stats and a short story for the Feeder infestation, a true body horror shocker. More bonus content will be announced with further unlocks!